But, I salvaged a sorta good, (not really) photo to share with you. Let's get to it! Ok, lets get the recipe. 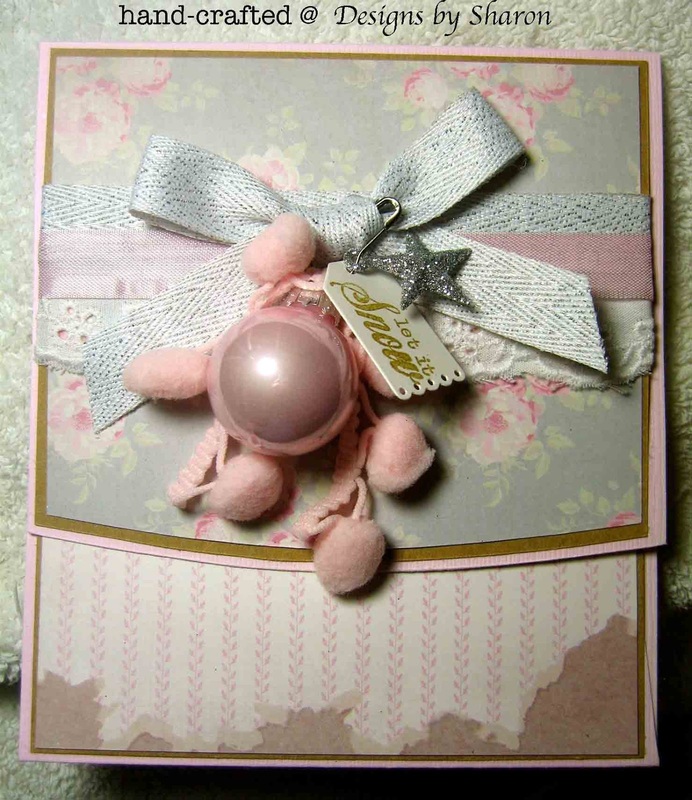 I used a Pinktini color of solid card stock for the base. I used my favorite kraft card stock for the matt. 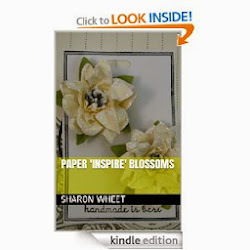 (I just love that color) And the beautiful pattern paper? Tilda pattern paper: All That is Spring. (be still my beating heart.) I used the blue background floral pattern paper for the top flap and the distressed pink stipe for the bottom flap. I added a strip of white cotton eyelet trim, a silver chevron ribbon, and Pink Pirouette seam binding, across the middle of the top flap. I thought that these trims added to the homespun 'feel' of this project. I tied a simple bow with the silver chevron ribbon. I added a large pom pom pink trim. And a small round pink glass ornament. I added a silver glittered star, and a hand stamped tag. The tag reads: let it Snow. I thought that really expresses the 'feeling' of the winter. 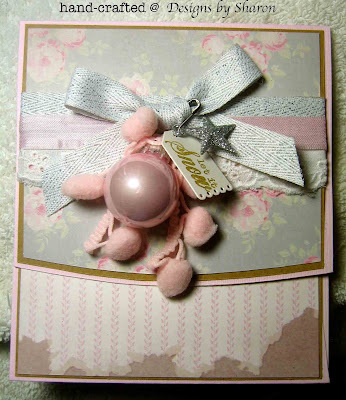 I also like the mix of different textures between the trims, the glitter star, and the softness of the pattern papers. Thank you for looking. I hope to get some half decent photos soon. 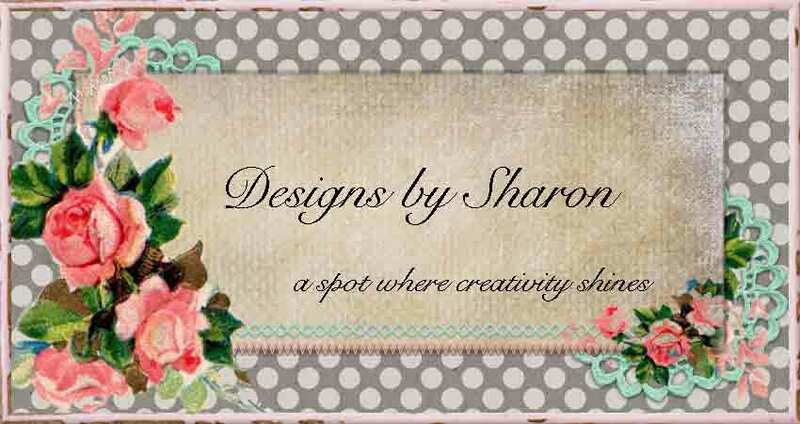 As my next arts and craft fair is this Saturday! Yep! in a few days! So, I may be photographing just before the doors open! Yikes!